Wear this to the office and more. Create new styles with your coil out. Get a tapered cut to create your mohawk style. How to make a mohawk in five minutes or less! Turn your pony into this dope style. 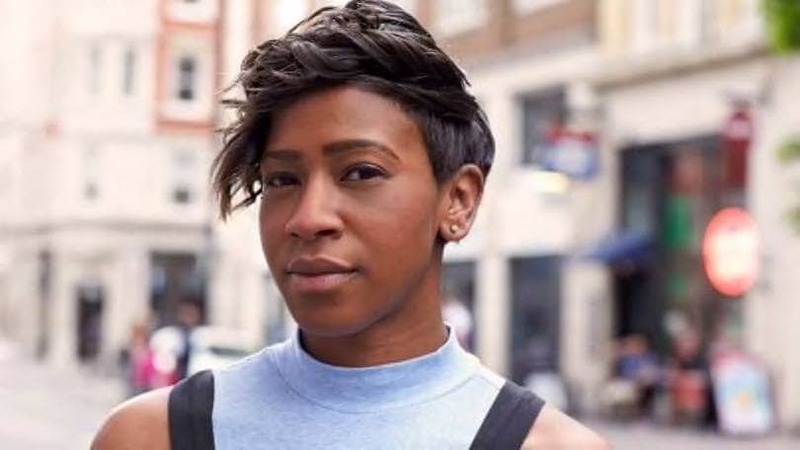 Turn your twistout into this fun style. A classic pixie with a twist! And they’re completely cool and wearable for everyday, too. 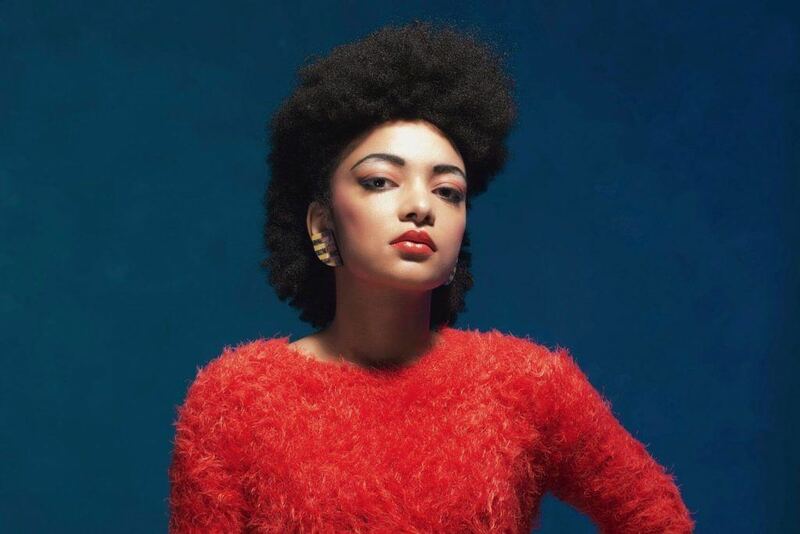 One thing we want to stop hearing is women complaining about not knowing what more to do with their natural hair. 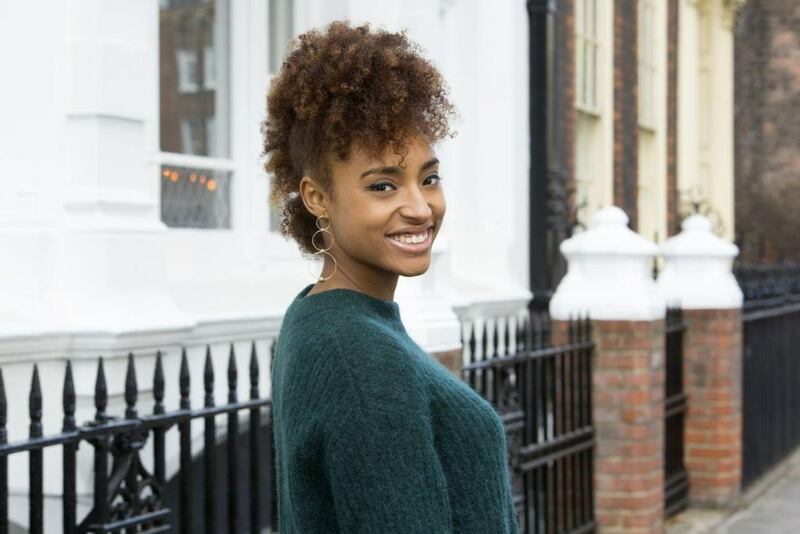 One of the many reasons you should love your hair in its natural state is because you can do just about any and every hairstyle under the sun! 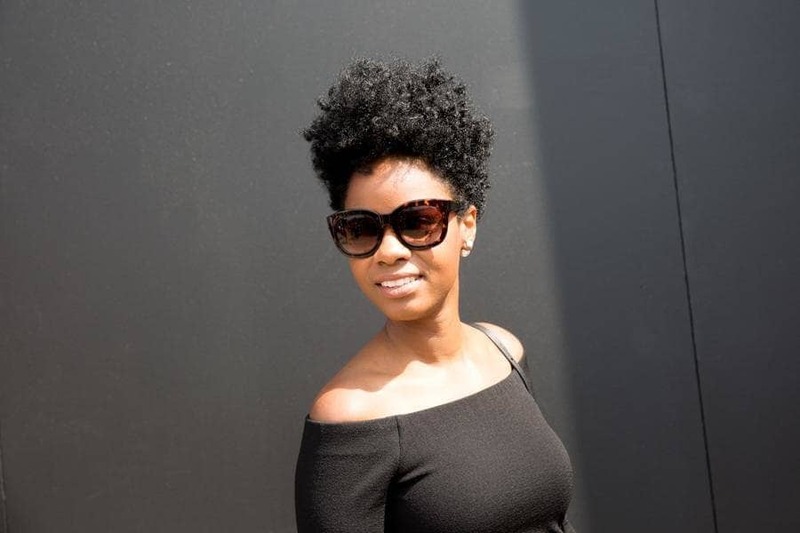 Case in point: One of our favorites at the moment is this roundup of different iterations of mohawk hairstyles for black women. 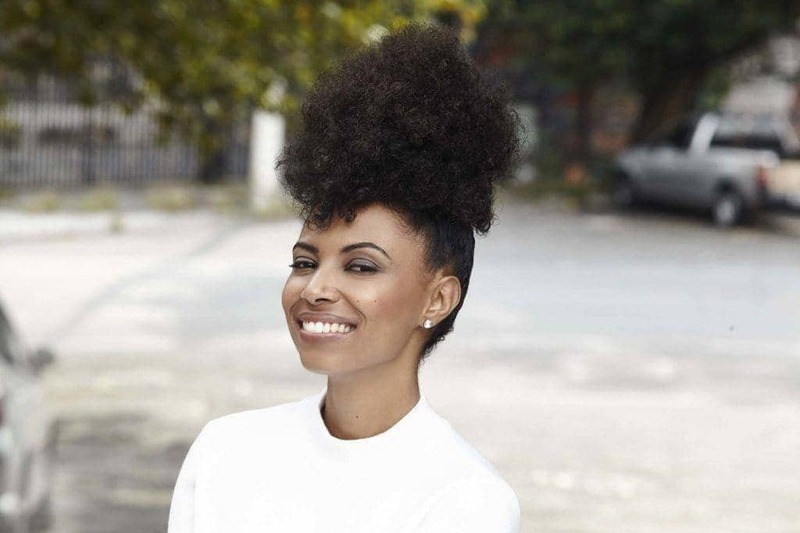 Style your big afro into an fun mohawk style by way of a fro hawk. Pin sides up to create the look in an instant. Some may think that the mohawk style isn’t a look that can be worn on a daily basis. We beg to differ. 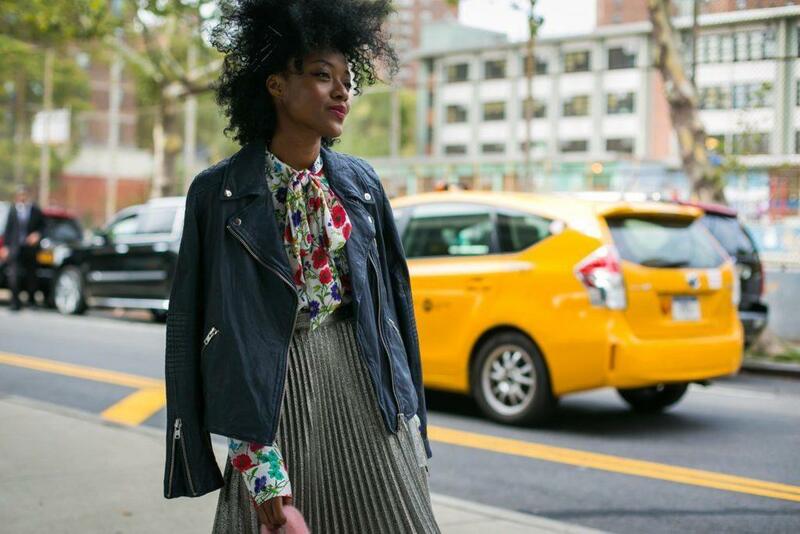 This casual look is proof that your mohawk can be worn to the office and beyond. If you’re on the hunt for a new way to style your coil out, you must try this mohawk style. 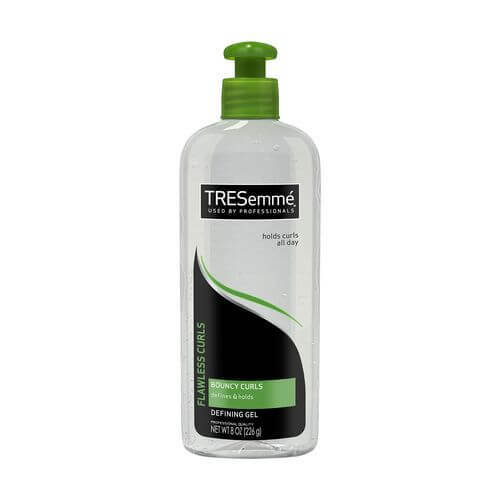 Define sections of hair with a gel, like TREsemmé Flawless Curls Defining Gel. 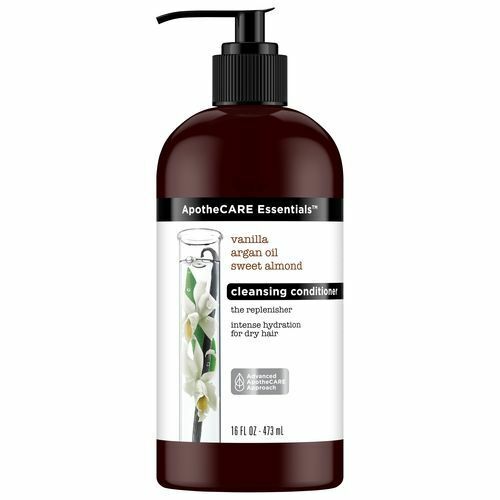 Wash and style your hair with products that give you flawless definition. 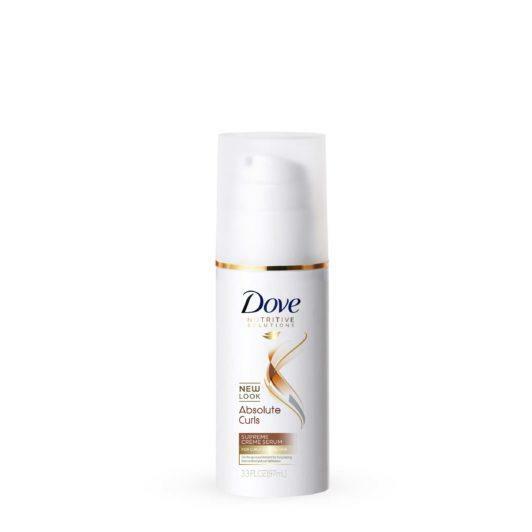 The key is finding something that provides your hair with moisture. 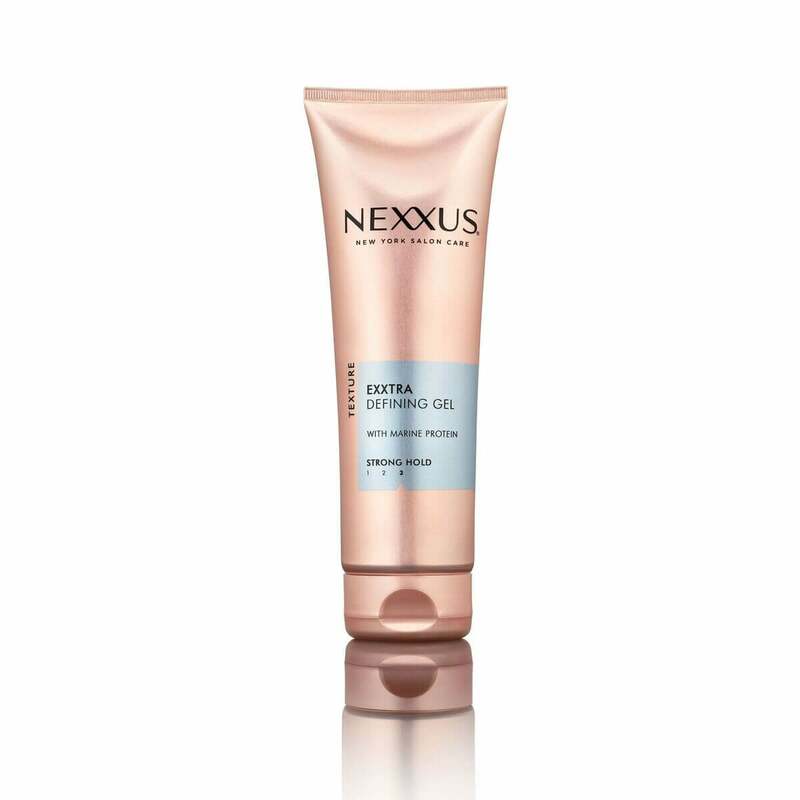 Try ApotheCARE Essentials The Replenisher Cleansing Conditioner and style with Nexxus Exxtra Hold Sculpting Gel to mold your curls into the perfect shape. Use rollers down the middle of your hair to create this style. Leave it as is or comb out the curls to create a fluffy and bouncy effect. There’s a hair hack for just about every hairstyle in the book. 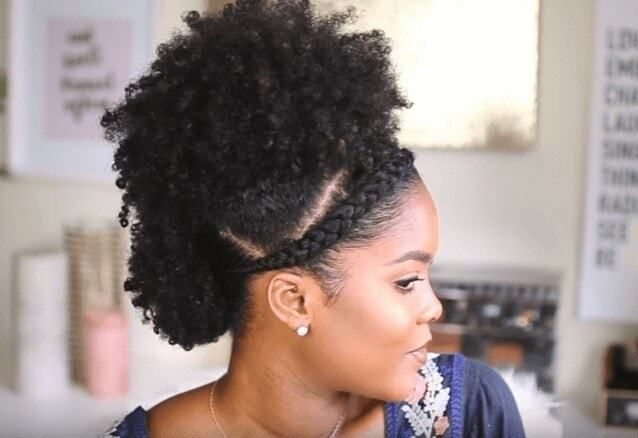 Want an easy way to create a mohawk on natural hair? Try this double ponytail style as demonstrated by Mini Marley. 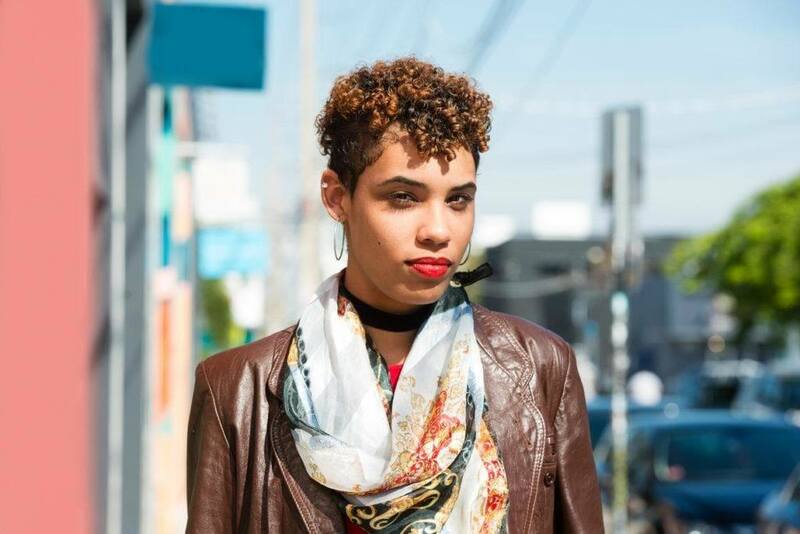 Believe it or not, mohawk hairstyles for black women can be dressed up. Preparing for a gala? A fancy and festive hair accessory can make your style appropriate for the occasion. Into the mohawk look and want to get a haircut that looks just like it? 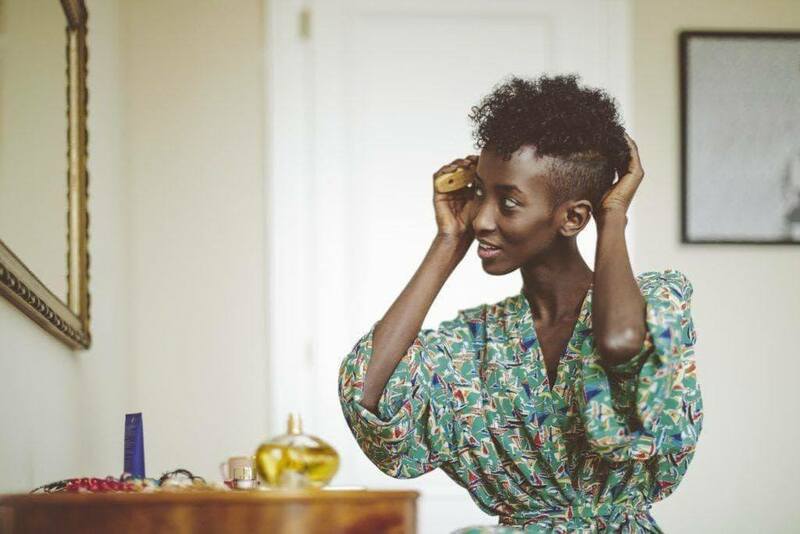 Go for this mohawk-inspired curly cut. 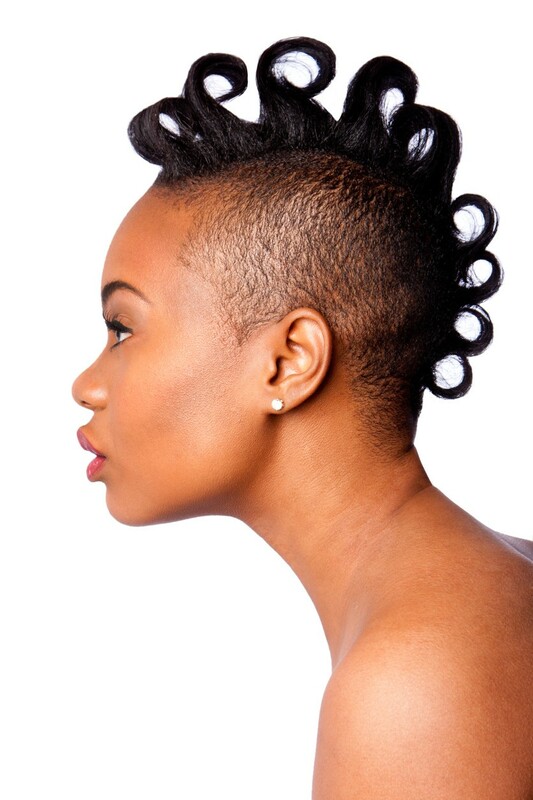 Did you know you can create a mohawk with just one ponytail on natural hair? You can! Gather hair up into a high ponytail and spread your ends apart to create the mohawk shape and pin in place. Straighten your hair with a flat iron and feather your ends out like a peacock to recreate this mohawk style. 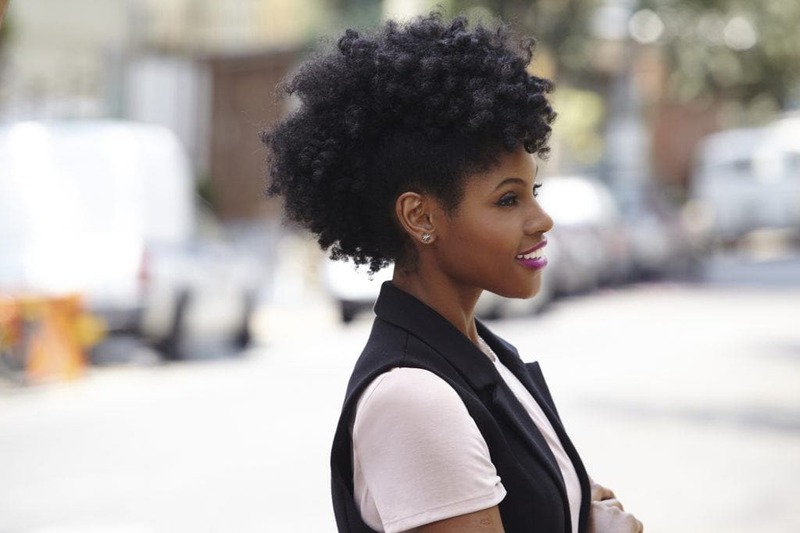 Turn your twist-out into this fun style. 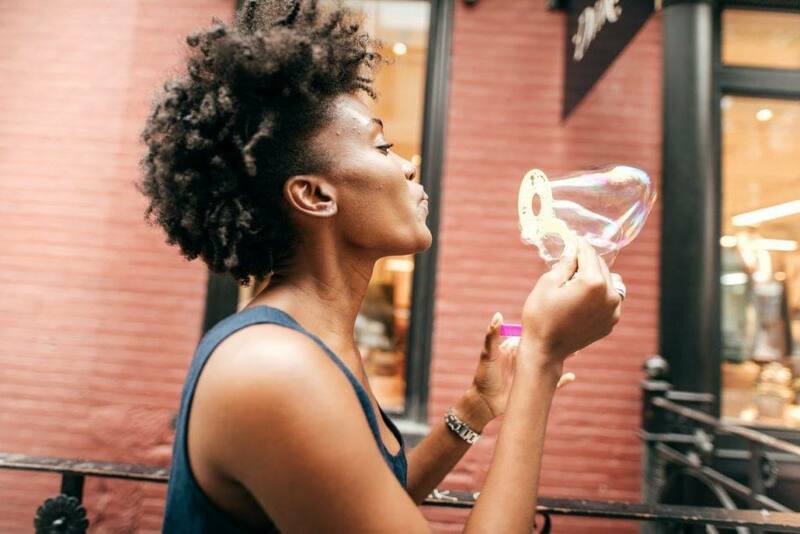 To recreate this look, twist damp hair into double strand twist using Dove Absolute Curls Supreme Crème Serum and release once hair is dry. 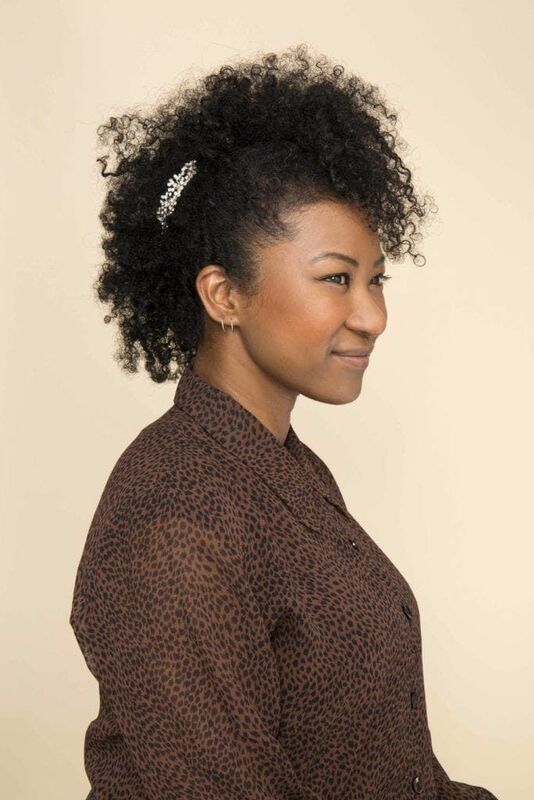 Pin hair up on both sides to create your mohawk and gently fluff with your hands. Make a grand statement with a voluminous mohawk style. Pick your hair up and out until you get the volume you desire. Want an edgy twist to your pixie? Go for this mohawk-inspired look. Style your hair into this simple style. Create ringlets by finger-coiling small sections of hair. Love updos? 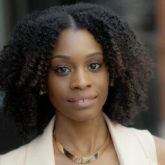 Try these natural styles!